Many job seekers go through the entire interview process to land a job without ever learning about the culture of the workplace they are going to join. Workplace culture is widely variable and unique, and also very important for your career success. The culture of a workplace is a mixture of many elements that include but are not limited to: the boss or manager’s way of thinking about things, his or her attitudes and prejudices about men, women, and minorities, ideas about work-life balance, productivity expectations, communication style, and much more. The culture is also deeply affected by the people already working in that workplace or department. Even something as seemingly insignificant as what is considered funny or off limits can be part of the culture of a workplace. Is it okay to make fun of people or tell jokes that make some people uncomfortable? The culture is deeply influenced by the people who are already there. Are your future co-workers collegial and supportive or competitive and cutthroat? Will people at this workplace teach and mentor, or not? Are people too busy and stressed out to help out? Are people too timid to speak up if the boss is a bully or a poor leader? Workplaces do not come with labels on them. Maybe Yelp reviews would be a good idea. The website Glassdoor.com seems to be one way to try to get this information, but not all places are reviewed and sometimes people have a personal vendetta with a workplace that gets in the way of neutral reporting. When it comes to workplace culture it is very important that it match up with your own sensibilities. 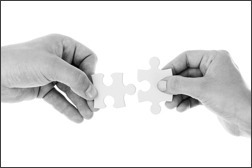 A mismatch can interfere with your career success. One of my former clients, Molly, is a bright, capable woman in her thirties. She worked as an engineering project manager for a start-up, leading a group of mostly male twenty-somethings. Her work style was very different from the people she was supposed to manage. The workplace team she led consisted of a lot of smart but also sort of snarky guys who got together after work and on the weekends and had become close friends. Their sense of humor was sarcastic and mocking. Molly was a straight arrow. She had her own friends on the weekends. At work, Molly was also a stickler for rules. In her former job, that insistence on compliance had been very important for the success of the company to avoid needless law suits. She believed in following the rules and speaking plainly and honestly about problems that came up. She believed in planning and setting clear goals for the team and following through on those goals. She brought that mindset with her to this new job. Although she was hired for her skillset, which seemed perfect for this job, the workplace culture was a mismatch. It became clear very early in her tenure at this new job that the rest of the management team and the guys in her group approached problem solving tasks in an intuitive and unstructured way. When she said: “Let’s plan each step,” she got push back. “Don’t worry so much! We’ll figure this out as we go.” When she insisted that the company follow certain guidelines and rules, she heard: “We don’t really have to do that. We didn’t do that before and nothing happened. You worry too much.” She was told she was not creative enough and not willing to look at the big picture. She knew that she was not very comfortable doing this job, and that her team was not including her socially, but she did not think that was dangerous for her career. In a surprise move, however, she was fired. The way she was fired was a kind of death by 1000 cuts. Everyone on the team was asked to review her anonymously. They were told to comment on her management style and ability to lead and about 25 other markers for assessment. The comments were compiled in a review that condemned her. The review seemed to be calculated to justify firing her since all of her prior reviews had been very positive. Molly read the review at the time she was fired and was shocked and upset about what people said about her. She really thought she had been doing a good job, and at a different workplace, she probably would have been seen as a strong leader with good judgment, but with a need to learn how to say difficult things in a more nuanced way. In fact that had been her reputation at her prior job before this one. Was she a terrible project manager? Probably not. But her communication and management style did not fit the workplace culture. Could she have delivered her requests to her team in a more effective way? Maybe. But even with the best delivery it is unlikely that that would have made the real difference. She just did not fit in. She did not meld socially with the people at work. She did not roll with the cool, casual workstyle of her team. They probably plotted to get rid of her and then “killed her off.” Office politics can be cruel. In our counseling work together we first had to deal with the painful aftermath of this experience. Her now rock bottom self-esteem, uncertainty about her abilities, and worries about the many criticisms in her final review affected her will to search for another job. Were these criticisms fair and accurate? Should she believe them? She could barely push herself to do a job search in the beginning because she had a kind of post-traumatic stress disorder that comes with this sort of blow to the ego. How could Molly have avoided this experience? What should anyone try to do to avoid a problem like this? First, know yourself. If you know yourself, you can understand your needs when it comes to workplace culture. Think about your work style and the people you work with best. Take notes and make sure you remember this about yourself as you conduct your job search. Second, do your due diligence. Find people who used to work at the place you are about to join and do a confidential debriefing. These days it is often possible to locate people who have been at the workplace you are planning to join. By using LinkedIn and other online tools and social media as well as by talking with friends and hunting word of mouth for people who used to be at this workplace, you can often find excellent sources of information. If you know your needs and you vet the workplace for your needs you can often make good educated guesses about the culture of a workplace. Beware of the workplace culture that is at odds with your needs. If you already work in a place that is a serious mismatch for you, plan your escape so that you exit on your own terms. Imagine you are in an elevator by chance with someone who is or could be important to you for your success – what are you going to say? In the time it takes to ride up a few floors in an elevator with a total stranger, you are supposed to be able to say who you are and what you need. Fast. With clarity. And intentionality. You have only 30 seconds to 2 minutes. Go! The elevator pitch has been a favorite device to convey information succinctly to people who might help you get what you need. Originally the idea was to make a pitch summarizing the value proposition for a business and create interest that could lead to something more – such as funding. This approach has been used effectively by sales people, project managers, and people with start-up ideas. These days the elevator pitch is also taught to job seekers who are meeting with people who could help them expand their networking potential or open a door to a possible job. Job seekers are told to create a script, a knock-out 30 second speech, that summarizes who they are, what they have done, what they want to do, and why they would be ideal for the job. While it might seem like a perfect use for the elevator pitch, the application of a targeted sales pitch approach is problematic for job seekers having informational meetings with people in their industry who might have potential contacts or open doors for them. Job seekers are coached to be able to “reel off” their elevator pitch at any time. They are supposed to practice it over and over in front of a mirror “until it does not sound rehearsed.” They should prepare a few variations for different settings such as interviews or job fairs. The problem for many job seekers and especially those who are shy or anxious or new to networking is that a rehearsed elevator pitch sounds, well … rehearsed. It sounds canned and contrived and not the least bit compelling or heart-felt. Most of the clients I have worked with who deliver the pitch to me sound like they are trying to sell me a used car. Practicing it over and over again does nothing to cure the problem and only makes it worse. When I work with clients who have been coached to use an elevator pitch, I ask them to deliver the pitch to me and then I ask them how they feel. Usually they tell me it feels fake and they are having trouble remembering what they are supposed to say. It doesn’t feel natural to them. 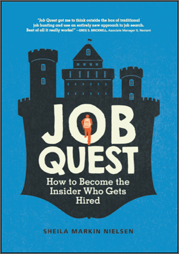 All of this information is useful and important to convey at some point, but the first thing you have to do when you engage in rapid relationship and trust building (as I talk about in my book, Job Quest: How to Become the Insider Who Gets Hired), is to say something that helps the person you are talking with care about you, engage with you, and want you to succeed. An elevator pitch does not do that because it almost feels assaultive to the listener. It does not create engagement. What should you do if you do not open with an elevator pitch? The answer has to do with human nature. What gets people engaged? What gets YOU engaged? What is meaningful to most people? The answer is actually simple and obvious: human interest stories. Speak from your heart about what you care about. Tell people what you are hoping to do for your life’s work and why. When I ask my clients to forget about the elevator pitch and just talk with me and tell me in their own words what they are excited about doing for their life’s work, there is a transformation. Their eyes light up. They look right at me instead of down at the floor. They engage with me. The difference is remarkable. When you capture the interest and engagement of your listener with your authentic enthusiasm, you are much more likely to create a compelling relationship with someone who will join with you, care about you, and want to share their connections with you. This is vital for productive networking to land job opportunities. Lose the elevator pitch! Tell people your dream instead. Will Analytic Behavioral Testing Prevent You From Your Dream Job? 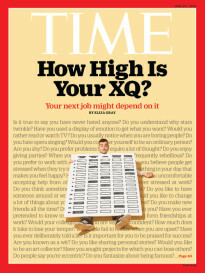 Last week’s lead article in Time magazine is “How High is Your XQ? Your Next Job Might Depend on It.” Some workplaces are giving job applicants a new kind of test to see if the applicant has the right personality for the job. Matching up personality with career direction and job is not a bad idea, but the way to do that is not by using “people analytics,” at least not the analytics cited in the Time article. “People analytics” purports to create an algorithm that correlates a candidate’s answers on a test with responses given by successful workers and assumes that if there is such a correlation, the new hire will also be successful. The Time magazine article goes on to cite some of the questions that applicants have to answer in a written test, questions such as, “I never get angry” or “sometimes I’m not sure what I believe” or “when I was young, there were times when I felt like leaving home.” The actual answers to these questions are not what matters so much as the correlation between the answers given by the applicant and the answers given by workers who excel on the job. The pattern of answers that emerges is supposed to provide a measure of the person’s deeper, behavioral self. However, if these are in fact the kinds of questions being asked to divine a pattern that reveals a person’s behavioral self, I think they are flawed. According to the Time article the applicant is required to give a true or false response, but most people could answer these “true sometimes and false sometimes.” In short, these questions call for nuanced answers but the applicant is allowed to answer only true or false. The applicant is left taking a stab at an answer but how much weight should be given to that answer? I would argue, not much. The Time magazine article gives the reader a sample test to take and after you take it you add up the numbers, giving yourself a point every time you answer true to items 1,3,6,7, or 8, and giving yourself a point every time you answer false to the remaining items. These questions remind me of the personality quizzes you used to find in most women’s magazines. After answering a series of true or false questions you were supposed to classify yourself using a scale: 0-3 means you are an overly kind person, 3-6 means you are kind but also strong willed, 7-10 means you are a mean girl, for example. Good grief! Are job applicants now going to be subjected to this kind of testing that might deprive them of jobs where they could be real contributors? When I was in graduate school I was working with high school students in an after-school program who were taking vocational tests to figure out their career direction. I decided to take these tests too because I could take them without being charged the usual fee. What did I have to lose? At that point I was in a master’s program for social work, but in my heart of hearts I really wanted to be a criminal prosecutor! What would the tests predict for me? My test results came back in the mail and I still remember opening the letter nervously. I had tested well for interior design and psychology. That was probably a good call. But the field of law was not even on the list of careers I should consider. I was disappointed to say the least and for a time it discouraged me from applying to law school. But eventually I did apply and I went on to become a criminal prosecutor, first in state court and then in federal court. I loved being a prosecutor and did well at it. As an assistant U.S. attorney I had about a dozen jury trials and never lost one. Did I have the perfect personality to be a criminal prosecutor? Probably not. I am not super competitive and don’t enjoy playing hard ball, although I can do it. I can see both sides of an argument. But I think that that made me a more formidable opponent. I could anticipate the defense because I understood the other side of the argument. Was I super confident and self-assured? Nope. But being less confident caused me to work harder, prep harder and be more organized than the other guy and that probably led to more victories. Did I have a steel trap memory for case law? Not at all. Some of my colleagues like Scott Turow could remember not only applicable case law, but could recall on what page a particular quote could be found or could quote applicable case holdings verbatim. I was in awe of anyone who could do that. I didn’t even like doing legal research. But when it came to understanding the way to build a case by developing the story and bringing the jury along, and understanding how a juror would be likely to feel and think about a witnesses’ credibility or about motivation, I really got that. If the US Attorney’s Office had insisted on one of these tests, with greater validity than the disappointing one in the Time magazine article, I probably would not have made the cut. But if certain behavioral traits correlated with other litigators were not my strength, other valuable behavioral traits for being a successful prosecutor were. And, above all, I had a lot of motivation to do this job and do it well. And that’s where I think these tests are problematic. Ever since I was a little kid watching my uncle, Lowell Myers, in court, I wanted to become a litigator. My uncle was the first deaf lawyer to work as a litigator in court. My mother went to court with him as his interpreter. I must have been about 5 or 6 years old when I watched them in the courtroom as Lowell was trying a case or arguing a motion. I wanted to do that someday too. It became my dream to someday be a federal prosecutor. Motivation and will go a long way to getting a person to build up less developed behavioral traits. And part of the beauty of a career is that it can be a vehicle for personal growth and development, not just in terms of hard skills but also in terms of such things as leadership, personal power, inner strength, self-esteem, and much more. People grow as people when they are challenged on a job. A job can be an opportunity to get closer to being all that you could be. I went into the US Attorney’s Office a fairly naïve young woman with excitement and motivation for the job and when I left I was stronger, more confident, and far more able to voice my thoughts and beliefs. As a career counselor I see many people in my practice who may not be perfect behavioral specimens for a particular job but who do very well once they are on the job. In addition they add a perspective and viewpoint that enriches the workplace and can expand their colleagues’ minds. I would hate to see that lost.